Wilson Associates, a global architectural design firm at the cutting-edge of contemporary creative culture, is introducing two new exciting projects in Asia: Hilton Jinan South Hotel & Residences in Jinan, China and Skye Niseko in Hirafu, Japan. 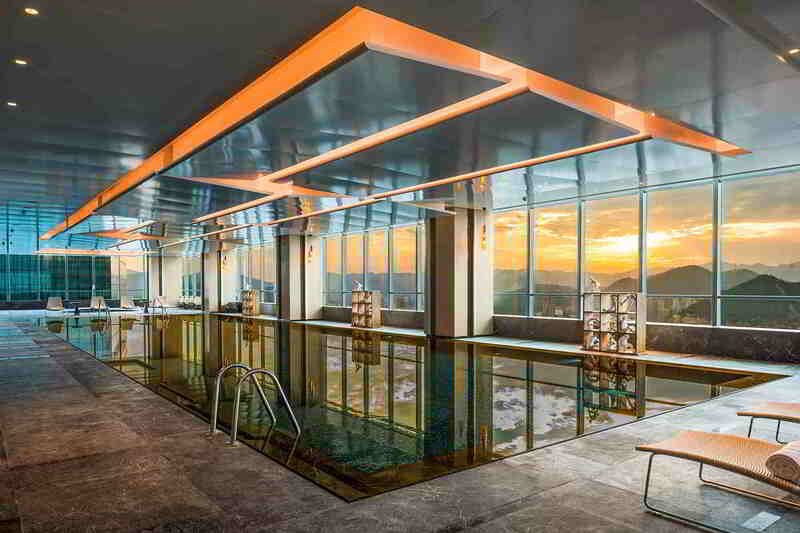 The Hilton Jinan South Hotel & Residences is a refreshing urban hotel near the city core, with panoramic views of the surrounding mountains, natural springs and lush scenery. The hotel thoughtfully incorporates original art, modern architecture, distinctive dining experiences, and seamless technology into the design and guest experience. The hotel interior has a spatial advantage of vast, unobstructed double volumes in open areas such as lobbies and the all-day dining restaurant. On multiple levels, the volume of space is constantly mimicked with canopies of intrigue and metal screens to accentuate an effortless spatial transition between rooms. Decorative soft free-standing leather panels further layer these spaces with a nod to delicate stitching details and spring-inspired artwork while concealing service doors and creating aesthetic anchoring backdrops to reception counters. Most of the furniture, fixtures and equipment are modern, bespoke pieces that exude luxury with fresh, neutral warm materials. The palette of finishes is accentuated by bold navy blue hues to create a strong visual expression of the materials, finishes and textures. The design of the hotel also pays tribute to the renowned local springs with impressions of watery strokes throughout the hotel, evidenced in art installations and richly colored plush carpets that emulate slow romantic drifts of fallen flowers in the spring. An impressive project in the pipeline is the Skye Niseko in Hirafu, Japan scheduled for completion in October 2018. The project is a stunning collection of 105 apartments and penthouses, and the first privately owned condominium-hotel located within the breathtaking Hokkaido National Park. The unique location, situated above the village of Hirafu, combined with contemporary interiors, extensive onsite amenities and visionary architecture, form an exclusive experience. To execute the vision, Summit Properties has teamed up with Wilson Associates’ Dallas office to design the common areas and penthouse interiors with Pike Withers of Sydney handling the other accommodation units. ‘Less is more’ inspired the interior space design. Guests can expect minimal architectural finishes in each space, and a big play on proportion and scale - offering a luxurious yet clean Japanese design.